Says "Sorry, this voucher cannot be used with this deal."? Horses for courses. I have an S9 now which I'm happy with, much more than I remember the last time I used an Android handset, it's very good all round - I use an iPhone as my other phone. I had the XZ1 Compact before and was also happy with that. But the S10 has the extra camera that will be useful and is a similar size to the S9, I find the curved edge displays annoying but I will have to live with them. I think you're missing a trick. Having had an in screen finger print sensor on a Mate 20 Pro, I prefer the regular capacitive type. I prefer flat screens , and again having experienced a big 6.4" screen I prefer the smaller and lighter handsets like my current S8 Your requirements may well be different to mine, but to me the S10e is the pick of he bunch. I wish they'd gone one step further though and fitted an LCD, and not oled. It would be the perfect phone for me then. I wish they'd do similar deal on EE for the same price. I am undecided. That Note 9 on EE deal the other day looks good to me too though the S10e just feels like 'the poor man's S10', no matter how they try and pitch it - same way as I'd never be happy with the iPhone XR. I think the telephoto lens is useful too though. 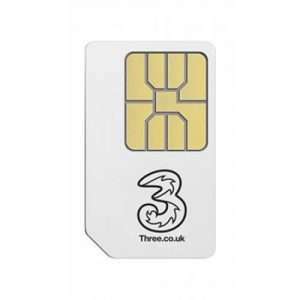 Three SIM Only - Unlimited 4G Data, mins & texts for £20pm - 12 months on the Advanced plan! Its all well and good our Lady Theresa going against the grain of her advisers and overlord Trump. But how many regulatory hiccups &amp; hurdles they throw up on the way remains to be seen. (Although I hope not) Still seems a long way off for us in London. Methinks, Three are not aggresive enough in their launch and making the big splash. I'll be happy &amp; content to buy the used 4G router off you guys, even if they only improve their 4G offerings in my area. Its still flakier than a Cornish cheese pastry. Is not only the data but we all are looking for the Pro Version... maybe no upfront and a better network. 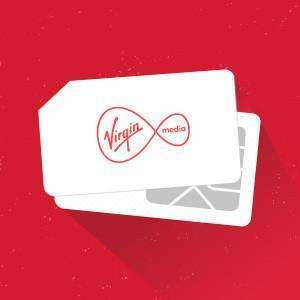 Is it true virgin just put the price of the contract up mid way through and you can't do anything about it? I just called EE and they price matched this offer, so if you can't be doing with the hassle of switching, it only took me about 10 minutes on the phone. I was on £13 for 6GB. No, I order the new Vodafone SIM and as soon as it's delivered arrange the port. That way you always have data to use either on your old SIM or your new one. Do you wait until your number has been ported to GiffGaff before ordering the new Vodafone SIM? This has been expired but I can still see the deal!?!?!?!?!? Agree 100%. I already have Internet access on my phone 4 times faster than the fibre broadband in my home. I'm not really sure what the extra speed is going to get me. There was a 'security technology' specialist on radio 4 this Morning talking about Huawei's involvement in our 5G network - the most interesting thing he said was that in twenty years 5G will be underpin many aspects of people's lives. I assume he means self driving cars etc.. I don't think it's worth waiting for now if you are waiting for a new contract. Unless someone can actually say what benefit 5G will offer on a phone today... When I first read about 5G I understood it was being designed to allow greater bandwidth. Massively more connections to a mast at once. no more not having a network signal at midnight on hogmanay for example, and the driver for this is that so many devices in the futuere 'need' always on Internet (self driving cars, Internet connected fridges etc) that the 4g network can't cope with the predicted number of concurrent connections per mast. I own both the P30 Pro and the S10 Plus. They both feel really excellently built, however overall I have come to the conclusion that the S10 Plus is a much nicer device overall, for the reasons below. I expect I will be returning the P30 Pro to Amazon: Better speakers on the S10+ (more depth and dynamics, stereo) Headphone jack (I find it useful sometimes, although I usually use Airpods) The fingerprint scanner doesn't illuminate the room when you press it. You can also turn the indicator off completely to minimise the chances of screen burn, which you can't on the P30 Pro. It also works with wet hands. Expandable storage (without having to buy a silly proprietary format) Nicer user interface. One UI is a massive improvement on previous versions of Touchwiz where EMUI still feels a little amateur in terms of its design, and still has one or two annoying quirks in terms of its battery management and overall functionality. Better snapshot camera in terms of reliability. When you hit the shutter button you know you're going to get a good shot on the S10+, where the P30 Pro can be very hit-and-miss Better updates from Samsung, where Huawei tend to be much slower in my experience (both my S9 and S10 Plus have April security, where the P30 Pro is on March, despite actually being released in April). Nicer screen. Very discernibly so to my eyes. The P30 Pro does still have a nice screen but the S10 just looks more 'painted on'. It also supports standards like HDR10, which the P30 Pro doesn't. The wide angle camera on the S10 is...wider. It's also better quality in terms of its output. There are other little things the S10 has that the P30 doesn't, such as faster WiFi standards. I'm not so bothered about these. The P30 Pro does have a slightly bigger battery in its favour (although I haven't noticed much difference from the extra 100mAh), it has the zoom camera (which is fun), and a good night mode. Great find. My wife was wanting the P20 pro, but I think the P30 none pro would make more sense as the physical size is slightly smaller and the updated AI makes the battery life decent enough even with a smaller battery. Shame she has to wait till July, but hopefully it will have come down even more. 'Includes Wi-fi Calling on Three without the ‘expensive’ price tag!' Where does it say that ? I have changed my number on 12 month sim only. Sent me pac and informed next carrier. Painless Never done on PAYG. Maybe it's the same scenario? Can you use a PAC code for Sim only (payg or contract)? Just got the phone myself a few days and I have been playing with it. I am kind of shocked you can get this quality a device for just £200 sim free at with this contract at such a low price. It is absolutely leagues ahead of the Sony XA1 I had before! It's got better software, the camera's are amazing, and the screen is splendid. Audio performance is also stronger especially when hooked up the car stereo. The performance is great too... Not tried to to make a call and browse on 3/4g yet but will try it later. Samsung Note 9. 20GB data & unlimited calls. EE. £31 month & just £16 UPFRONT. Nealry new 14 day customer returns. 12 months warranty. Huge data with the EE who are the most expensive but have the best coverage. £31 a month & nominal £16 upfront. Almost brand new Samsung Note 9. £760 total cost. Now my order has been cancelled. Cowboys. 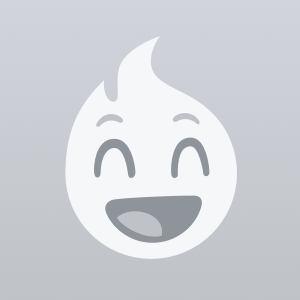 I cannot recommend Fonehouse. Just a heads up. My order has been delayed due to a lack of stock. I'm having difficulties getting response from them. Not impressed so far. Well they say it’s a hard cap but plenty have said they get over 60mbps. My uncle is on EE essential and he gets 75mbps at my house. On the EE forums EE themselves said that you will get exactly the same connection as someone on EE Max, it’s just that if speeds of 60mbps+ are available, priority will be given to those with the Max plan. They also said the same to me in store that the cap isn’t that strict. Personally I don’t see myself needing more than 60mbps anyway. Another difference though is that on Max you get 24 months of BT Sport and you can also use your allowance in countries like the US and Australia whereas on Essential you can only use it in EU countries. For me the main hesitation is being locked into a 2 year 4G contract when 5G is on the horizon. Three upgraded their customers to 4G for free but I’m not sure EE would do the same. EE essential is fine, ok it's not as fast as max but probably still superior to a lot of other providers. One of the main differences between EE Max and EE Essential is the maximum download speed you’re able to obtain when connected to EE’s 4G network. The fastest download speeds are only available to customers with an EE Max price plan. In theory, you can get up to Category 9 LTE speeds with a compatible smartphone providing you live in a 4G+ coverage area (also known as 4.5G or LTE-Advanced). In theory, this can give you a maximum download speed of 450Mbps, but a more realistic figure advertised by EE is “up to 90Mbps”. You can check on EE’s website to see whether you’re living in a 4G+ coverage area. Customers on EE Essential will have access to double-speed 4G. This gives download speeds of up to 60Mbps (“as fast as fibre broadband” according to EE). This is a hard cap on the maximum download speed you can get, regardless of which network technologies are supported on your handset. In our opinion, the difference in download speed between EE Max and EE Essential only makes a very small difference to your experience on the network. As a benchmark, very few things actually require a download speed of more than 4-5Mbps. For instance, 5Mbps is already enough to stream services like iPlayer and Netflix in high-definition. The 60Mbps speed limit of EE Essential is therefore unlikely to make a major difference to your browsing experience. 14 pound a month is just the price of the phone. My sky mobile SIM is 4.50. Where did u get the 14 pounds a month deal? I decided to get this. Just the 14 pound a month for 30 months for the device is still cheaper the 530 pound that Argos want outright. Already posted. 30 months contract, COLD! Just got my pac code, not sure why people are going on about hassle for 25p a month, this is to cancel your contact which should then get you a call from retentions to try and get you to stay. So will be at least £5 per month saving. You have been misinformed. Pay rises in line with inflation aren't really pay rises, and if you don't get one then you're effectively getting a pay cut. Thats possibly because you have a phone included.. Any phone contracts since May 2015 have had the RPI increase terms included. They just seem to have forgot to add it to the Sim Only contracts until December last year (this is why theres are 2 letters soing around and causing confusion).. so theres a limited number of people this actually applies too who were sim only with current contracts from prior to december 2018. Im on Sim Only, with a contract starting before December last year, and got the notification that they were changing my terms to allow the increase, and then to actually implement the increase. It would have worked out at 45p. I used the online chat to express my annoyance about it and ask what my options were. The agent told me that to leave (I didnt ask about leaving just what my options were) I'd have to pay an ETF of 54.78, I pointed out the wording of the website/letter, as well as the legal position, got into an argument with him (his attitude was attrocious), ended up speaking to Customer Relations/Complaints, who reviewed the chat, and knocked £3/month off my bill. (and have actually taken off £3.10 on my latest draft bill) It's possible someone is drunk at the wheel of three's finances department. The whole affair ended with me paying £3.10 less that I already was. Clearly a sound financial decision. Wondering the same! In fact they have direct transfer to bank, instead of sending cheque like mobiles.co.uk! Hi Anon I'm a sky customer and tried to get this deal and couldn't but got 8gb for £7.50. ..looks like a good deal. assuming data capping is easy to setup? The Sky £7.50 for 8gb data and unltd calls and texts is better if you can convince them to give you that price. Plus net are a crappy isp in my experience and tbh I think Bt is trying to kill them off. Cheers. I don't need Wi-Fi calling as signal is ok but might try I D it calls are clearer with volte! And the big benefit is it's done over Band 20 so significantly better indoor coverage. is this for wi-fi calling please. I couldn't work it out. I don't know what wii fi calling is. 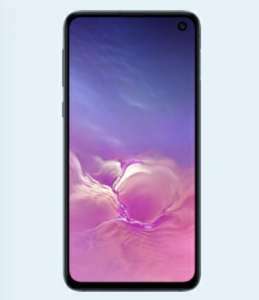 Anyone know which phone would be better,The p20 pro or the p30 ? Yeah. Finished yesterday for the speaker. 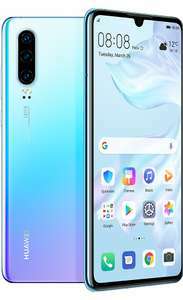 Have the Mate 20 Pro, awesome phone, been Samsung last 6 galaxy's too. Gutted the P30 Pro is 1080p screen or this would be a no brainer, but no way I'm downgrading the screen, that's the only bit you always use! And I think that people forget the notch can be taken off and Huawei has an option for full screen mode on apps and games so you don't lose any of the screen at all. That's an incredible retainer deal. Most £5 tariffs give you next to nothing data. Yep, I bought a couple a few years ago from Amazon, and one from eBay recently. I didn't know why the post I quoted (and the poster of this deal) says its not worth buying the 24gb anymore - it's far better value.. It lasts TWO years from activation. Ordered my 5th THREE 24gb sim card using BIGTHANKS from amazon. Ebay, cheapest £43. Just bought a 24gb - is there anything I should know? Folks voting cold. Show me cheaper.....please!!! I need some Three datasims! Does this work abroad with no data charges? Second that! Not sure why in 2019 they can’t match the unlimited data offered by 3 and Voda?